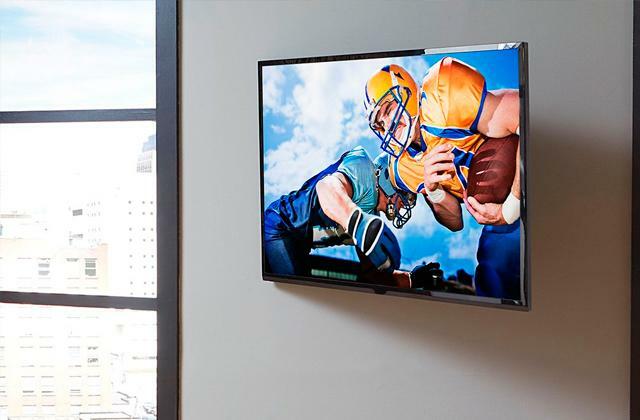 The giant 200-inch display makes the model great for sports events. The screen is bilateral, meaning that it can be used for rear projection as well as for the front projection. The professional air blower takes about 50 seconds to inflate the huge screen. Due to the size of the screen, it can take a while to deflate it. The LOCH IWS200 is not a modest screen. You don't get this thing to watch movies by yourself. 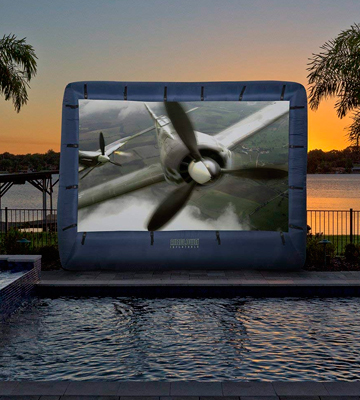 This is the best inflatable movie screen for people who'd like to take their movie nights to the next level. Aside from residential use, this is also a great model for company retreats or any similar occasions. 123" x 173.2" x 82"
The frame is made of triple-grade 600DD material. It is as thick as it is strong and durable. There are reinforced loops on each corner of the framework. You can easily remove the white display canvas from the main frame. Thanks to a special deflation zipper, the whole thing deflates really quickly. The model doesn't come with a storage bag. The Holiday Styling 600DD is a screen that is built to last. It doesn't care about the weather conditions. You do not have to be particularly careful and gentle with it. 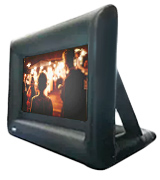 It does not require much in terms of maintenance and its size makes the screen perfect for all kinds of parties. 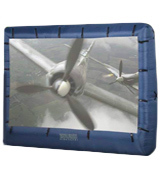 110" x 160" x 70"
A couple of built-in fans that come with the screen inflate it in a matter of seconds. 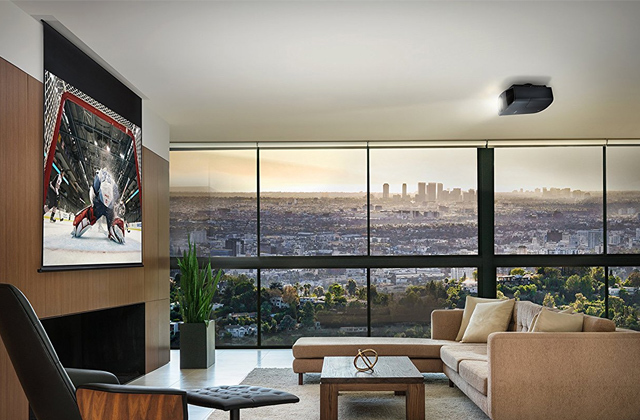 Plus, the fans are really quiet, so they won't disturb you or your guests. Made of an upgraded thick Oxford fabric, the frame isn't as susceptible to wear and tear as most similar fabrics. The screen is not bright white, so it'll be difficult to make out the picture in half-light conditions. 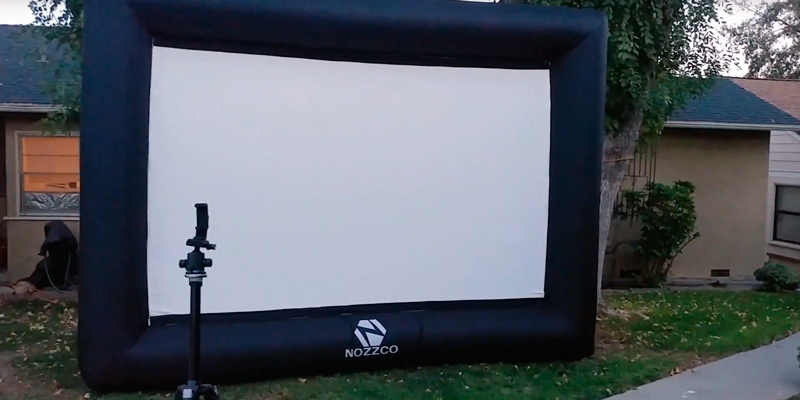 The Gemmy 39121-32 is a solid inflatable movie screen. With it, you won't have to fumble with bulky parts. Just take it out of the bag and, in a few minutes, you should be able to turn your backyard into an entertainment extravaganza. 107" x 151" x 36"
The model includes a comprehensive step-by-step instruction manual. It also includes 10 printable movie ticket templates. All of these templates incorporate different party themes and customizable text boxes, so you'll be able to match them with the upcoming occasion. The velcro strips lose their grip over time. 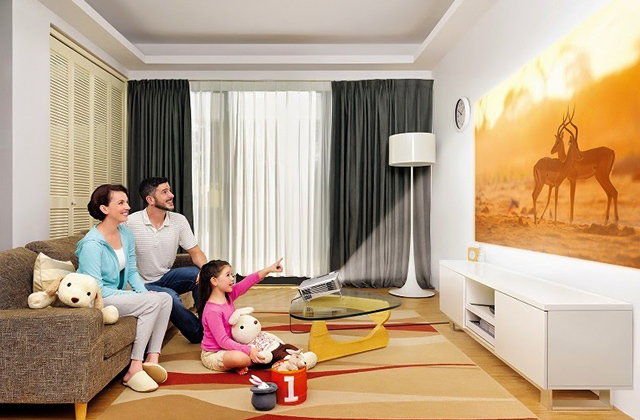 With this inflatable movie screen, you will be able to create an atmosphere of joy and celebration, just outside your house. It will help with bringing friends together. 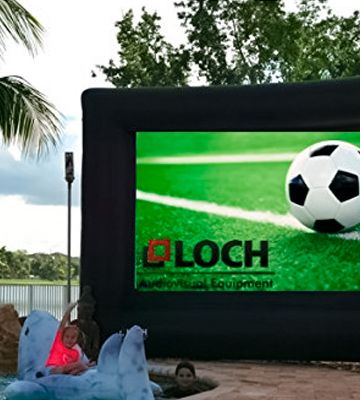 The screen is as suitable for sports events and pool parties as it is for small and intimate social gatherings. 96" x 144" x 60"
The frame is comprised of 100% polyester waterproof fabric. The bag easily fits the inflatable frame, screen, blower, ground stakes, and the tie-down strings. The said strings do a good job of providing stability to the screen. The whole thing weighs less than 11 pounds. The D-rings can be a bit awkward to position at times. 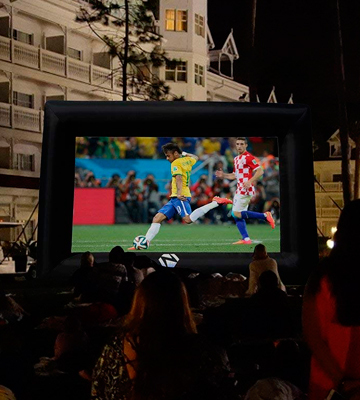 If you're looking for a portable screen that will allow you to turn any place into a viewing party, you can't really go wrong with the model from EasyGoProducts. 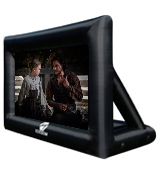 Among other things, it is the only inflatable movie screen that works well under rainy weather conditions. 114" x 120" x 84"
Who said that the movie screen is the limit? It certainly wasn't us, we can tell you that much. A movie theater is limited by the building's structure, as well as the maximum number of people in the room. Outdoors, you do not have to deal with this kind of limitations. 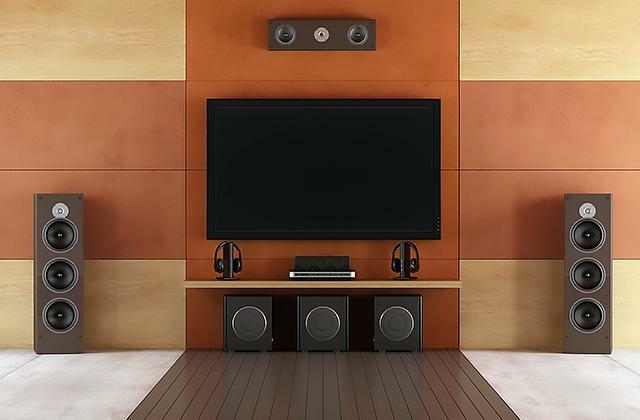 Which is why you can afford to acquire this gigantic 200-inch inflatable movie screen. As you'd imagine, the size is the deciding factor here. It makes the model more than suitable for residential use. You can also put it in a park or just about anywhere, as long as it fits. But, aside from size, it does have a thing or two going for it. First off, the screen is bilateral, meaning that it can be used for rear projection as well as for the front projection. You'd think, due to the size, it takes a while to inflate the screen. But thanks to the professional (yet oddly quiet) air blower that comes with the model, you'll be able to blow it up in less than a minute. And, sure, it doesn't deflate as quickly as some of those smaller models. But that is to be expected, given its size. 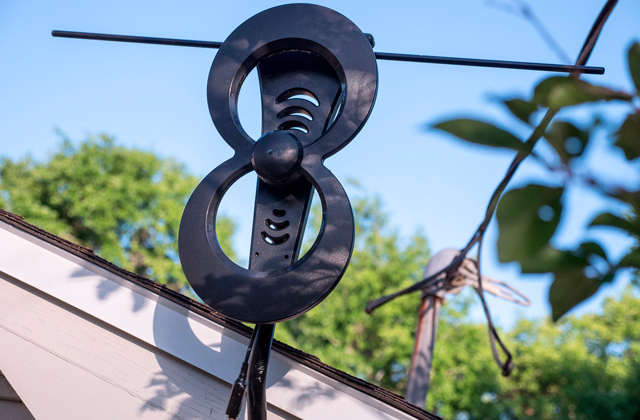 The wide stakes and robust tethers will keep the whole thing in place even during the windiest conditions, so you won't be forced to shut your "little" outdoor theater every time the weather doesn't agree with your plans. 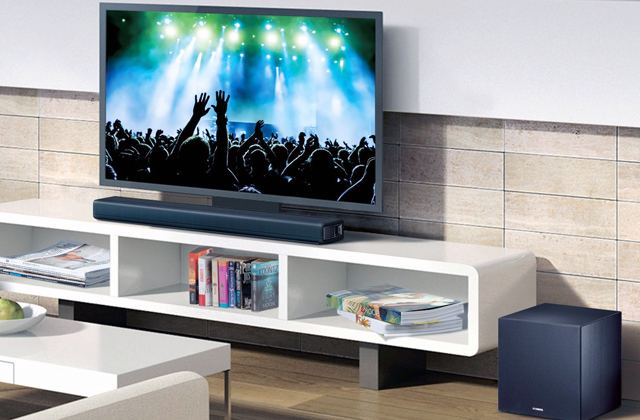 In short, the LOCH IWS200 is not a modest screen. You don't get this thing to enjoy movies by yourself. This isn't a big TV. 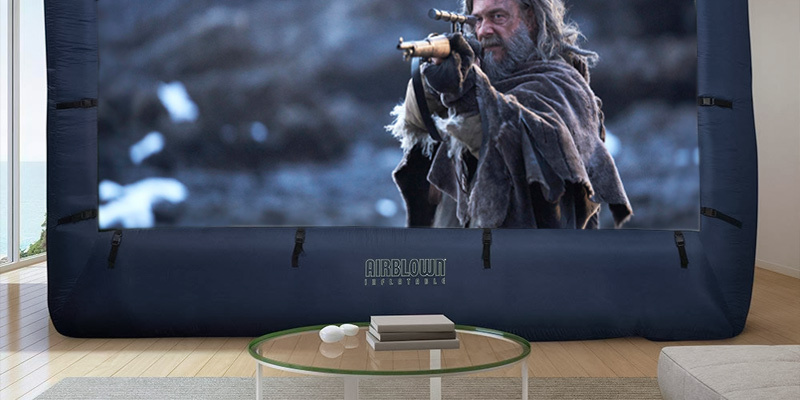 This is the best inflatable movie screen for people who'd like to take their movie nights to the next level. Aside from residential use, this is also a great model for company retreats or any similar occasions. 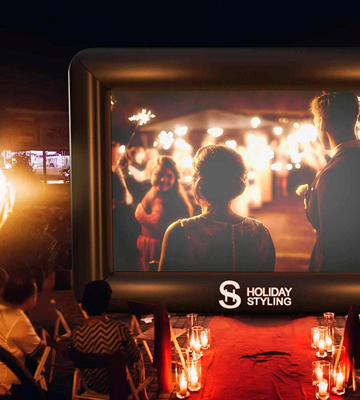 There is a lot to like about this outdoor projector screen from Holiday Styling. Of course, you have to start somewhere, and the rugged durability of the whole thing is as good of a place as any to do that. The frame is made of triple-grade 600DD material. It is as thick as it is durable and strong. There are reinforced loops on each corner of the structure. The pegs are solid. So are the rope ties. They will easily be able to hold the whole thing in place in case of wind. A sturdy frame at the back of the screen will also be able to hold it upright regardless of the weather conditions. The only thing we don't like about the whole package is the lack of a storage bag. Naturally, it isn't enough of an issue to cause any major inconveniences, just that you'll have to buy one separately if you're looking to move the screen around. You can use the screen for front and rear projection. The large white display itself is a durable canvas. You can easily remove it from the main frame, wipe it down, and store it safely. The electric blower that comes with the screen isn't too bad either. It inflates the whole thing in about 2 minutes. Plus, thanks to a special deflation zipper, you'll be able to take it down even quicker. All in all, from the durability standpoint, the Holiday Styling 600DD might very well be the best inflatable movie screen. It doesn't care about the weather conditions. You do not have to be particularly careful and gentle with it. It does not require much in terms of maintenance and its size makes the model perfect for all kinds of social gatherings. The Gemmy 39121-32 is pretty great, though there isn't much to talk about here. What we're dealing with is a fairly standard inflatable screen. The whole thing adds up to about 107" x 151" x 36" in overall dimensions. Measured diagonally, the white display itself adds up to almost 150 inches. It is just the perfect size to turn your backyard into an entertainment extravaganza, neither too large for your typical yard nor too small to feel underwhelming. 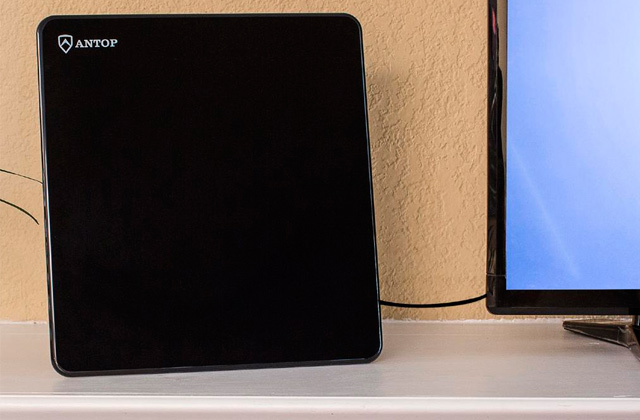 A couple of built-in fans that come with the screen inflate it in a matter of seconds. Plus, it deflates just as quickly, so you can put it back into the convenient storage bag that also comes with the model. We wouldn't call the fans silent but they aren't too loud either. In addition to the bag and the fans, as per usual, you get stakes and tethers to keep the screen in place. The frame itself is nothing to complain about. Made of an upgraded Oxford fabric, it is thick enough to withstand serious abuse. The white display isn't too bad either. The only complaint we have is that it isn't bright white, so it will be more difficult to make out the picture in half-light conditions. 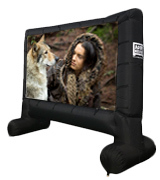 But, other than that, the Gemmy 39121-32 is a solid inflatable projection screen. With it, you won't have to fumble with bulky parts. Just take it out of the bag and, in a few minutes, you should be able to turn on the show. 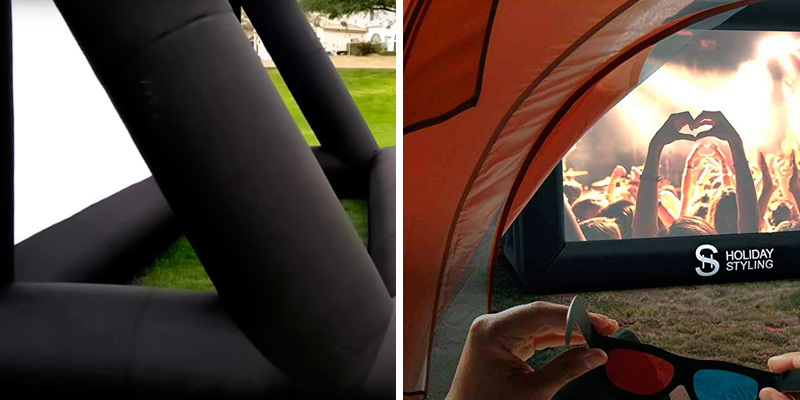 Inflatable movie screens aren't cheap, simple items. But they aren't that complicated either. So, to find the most fitting model, you really have to look at the little details. Because, if you look at the big picture (pun intended), the model in question doesn't differ that much from any other screen in this review. Sure, the size of the screen is solid, featuring 120 inches when measured diagonally. The materials here aren't too shabby either, other than the velcro strips that hold the white display. There's nothing particularly wrong with them, just that velcro, as it always does, loses its grip over time, so you'll have to replace the strips in a year or two. The air blower is more than fine, capable of inflating the whole thing in just a couple of minutes. The rope, tent, and the stakes are also there, so you won't need any extra tools to set the screen. So, what are the little details that we've mentioned earlier? Well, there's a couple of them. For one, the model includes a comprehensive instruction manual. 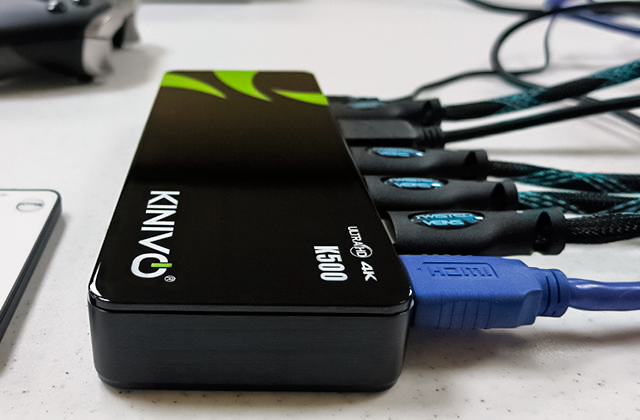 Though it isn't that difficult a task to assemble the framework all on your own, the step-by-step instructions are still a welcome addition to the package. Speaking of welcome additions, the product comes with 10 printable movie ticket templates. Again, not a huge thing but, with these tickets, you'll be able to kickstart the ready in the most stylish manner. All of these templates incorporate different party themes and customizable text boxes, so you'll be able to match them with the upcoming occasion. And that's what this screen is all about - creating a fun atmosphere, bringing friends together, and having some fun in the process. Generally speaking, outdoor projector screens and bad weather go about as well together as a toothpaste and orange juice. But that isn't the case with this screen from EasyGoProducts. First, the frame is comprised of 100% polyester waterproof fabric. Aside from the said waterproof properties, the polyester fabric isn't as susceptible to wear and tear as the majority of similar fabrics, so it should be able to serve you for quite some time. The white display canvas is detachable. You can always remove it, clean, put it in the bag for safe storage. 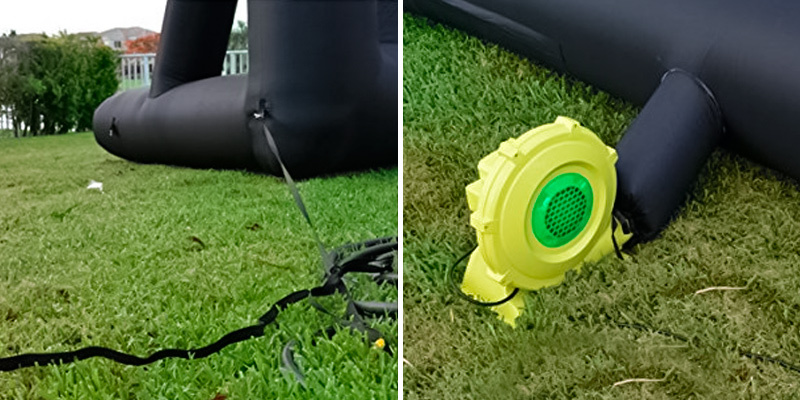 The said bag easily fits the inflatable frame, screen, blower, ground stakes, tie-down strings. As per usual, the ground stakes keep the construction in place, while the tie-down strings provide stability to the screen. The heavy-duty D-rings left us with sort of mixed feelings. On one hand, they give the frame a solid foundation. On the other, they can be a little difficult to set up depending on the surface. You're unlikely to have any issues with them, just that it can take a bit more time to put the whole thing together. On the bright side, all of it weighs less than 11 pounds, making the model particularly suitable for transportation. 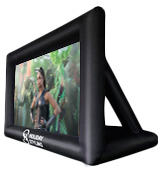 So, if you're looking for a portable screen that will allow you to turn any place into a viewing party, the model from EasyGoProducts is probably the best inflatable movie screen for you. 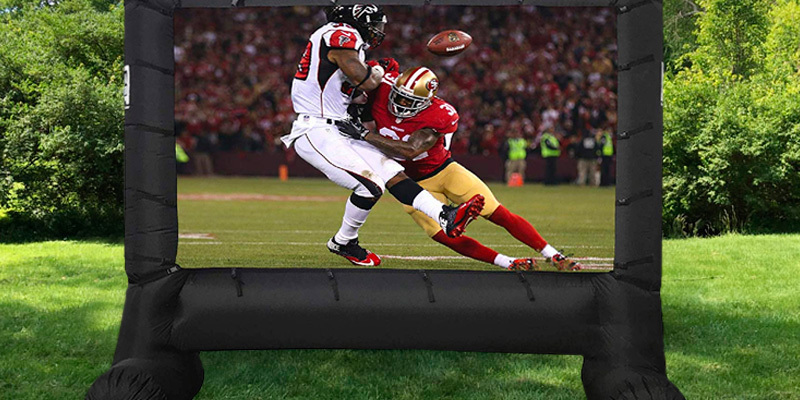 Among other things, it is the only inflatable movie screen that works under rainy weather conditions. Who cares for movie theaters? Sure, a huge screen is an undeniable advantage. But, if you ask us, that is where the advantages begin and end. Uncomfortable seats, absurd price rates, people talking throughout the entirety of the movie, chewing, walking past you and in front of the screen. It is the worst. The most logical choice here is not to suffer through the bad parts for those few good ones. It is to take the good ones out of the equation and put them in a different place. That is how you end up with an inflatable movie screen. 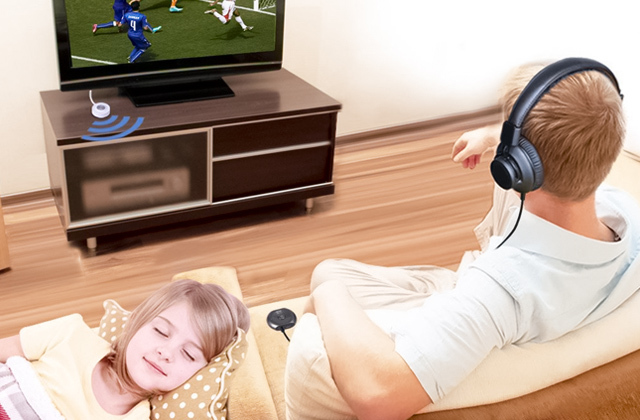 It combines all of the best parts of the widescreen cinema experience without any of the disadvantages. 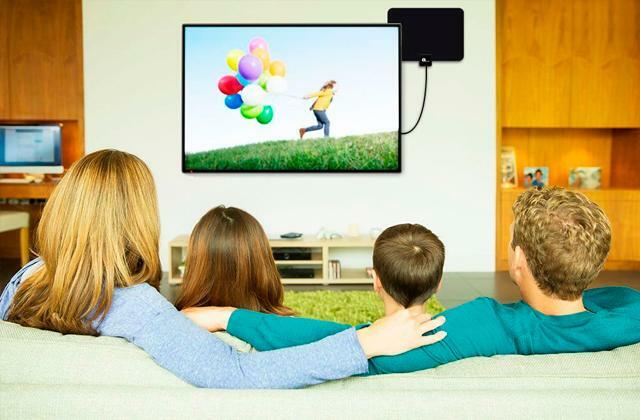 Set it up in your backyard and you'll be able to enjoy your favorite movies on a huge screen in the company of your choice, sitting wherever and however you want. Plus, there really isn't that much of a difference between these screens. Just choose the one that will fit your backyard (or wherever you're looking to put it), make sure that it includes all of the necessary equipment (like a blower, stakes, tethers, pegs, etc), check out the fabric, and that's about it. 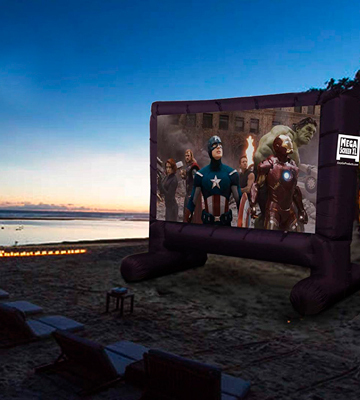 All that's left is to blow it up and have yourself a nice outdoor cinema experience. 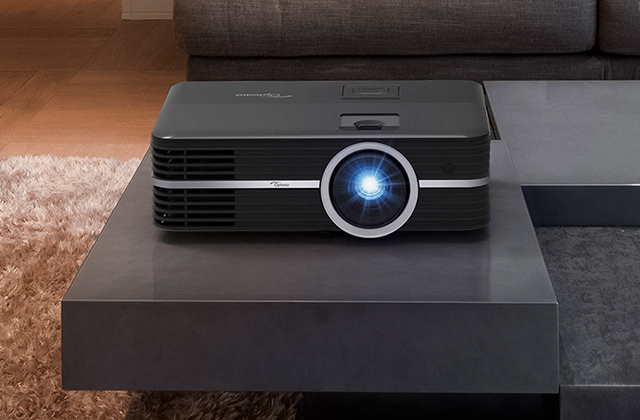 Of course, if you do not already own a projector, this thing won't do you any good. 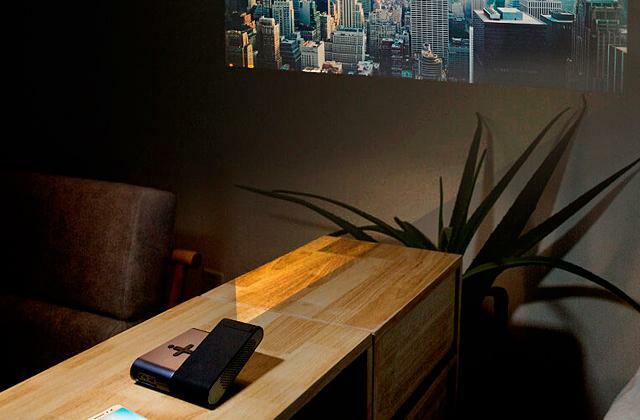 So make sure to check our reviews of HD and 4k projectors to get yourself the best that the projector market has to offer.